Volume 3, Edition 15	 Trouble loading? View this email online. 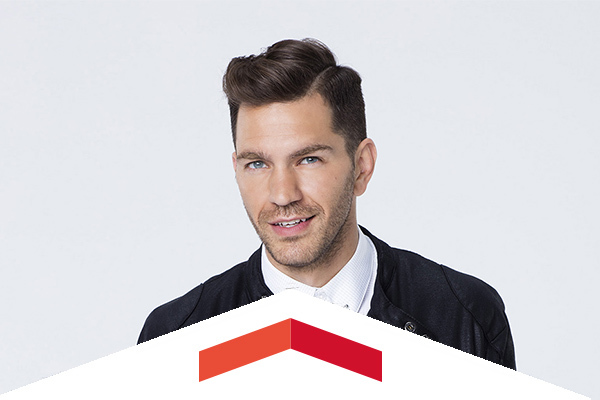 The past few months have been a good kind of hectic for Andy Grammer. The singer-songwriter and 2007 CSUN music alumnus who brought us the hit song Honey, I’m Good released his second album, Magazines or Novel, on Aug. 5, and he debuted on ABC’s Dancing with the Stars in September. Hundreds of families in the San Fernando Valley will have sufficient food and warm clothing for the holiday season, thanks to CSUN’s Unified We Serve program, which collected more than 3,400 items this month for local residents in need. 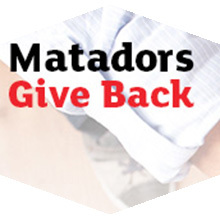 On Dec. 1, CSUN will be teaming up with internal and external organizations to participate in the nationwide Giving Tuesday event, where donations will be collected to help underserved families in the San Fernando Valley region and funds raised for CSUN student scholarships. The Matadome is the home to this competitive women’s basketball tournament, featuring CSUN, Georgia, Penn State and BYU. After BYU-Georgia tip off at 5 p.m., the defending tournament champion Matadors take on Penn State Friday at 7:30 p.m. The winners and losers from each of the games face off the next day. Sat., Nov. 28, 10 a.m.
See the color and passion of American Indian dance, music, food, and arts and crafts right here at CSUN. This free event takes place on Plummer Lawn, with the grand entry taking place at 12:30 p.m. Sat, Dec. 5, 8 p.m. The Grammy Award-winning Spanish Harlem Orchestra has established itself as a standard bearer of contemporary Latin music and reintroduced the classic sounds of New York City salsa to music lovers worldwide. 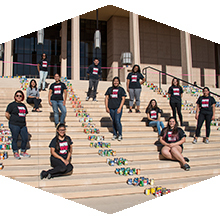 Sustainability at CSUN is a campuswide effort that has enlisted involvement from everyone at the university. This video is a brief summary of several of the sustainability initiatives of the university, and it’s been entered in the Second Nature Climate Leadership Awards, which recognize innovative and advanced leadership in sustainability, climate change mitigation and resilience at college and university campuses. Vote for CSUN today. Join other CSUN alumni attorneys for food, drinks and networking. Don't miss the behind-the-scenes VPAC tour starting promptly at 5:30 p.m.
CSUN Athletics will host an All Sports Day event for children in grades 1 to 8. Participants will be led through baseball, soccer, basketball, volleyball and (dry land) water polo mini-clinics by CSUN student-athletes. The children will participate in a pre-game pep rally featuring Matty the Matador and the Matador Band and receive dinner. Sign Language: Juan Delgado, Armando Lerma, Thomas McGovern and Carlos Ramirez at CSUN Art Galleries.